The Golden Fleece – what was it, really? Here is something completely different. It dates from my days breeding natural-coloured sheep, and becoming very interested in the genetics of their colour. 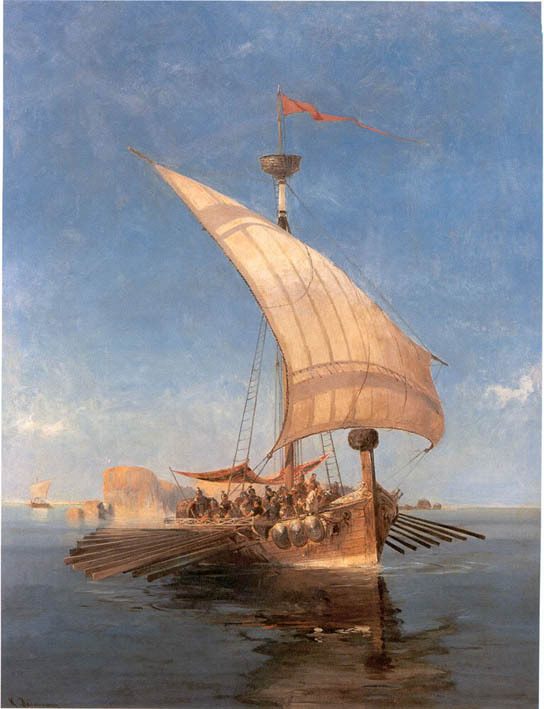 Inevitably, given my background in classics, I started to wonder about Jason’s voyage in the Argo to carry off the “golden fleece”. What was that all about? But we still must ask, why a golden fleece and not something else golden? Anyway, I hope you will find it interesting. Because it’s rather long, I’ll put the footnotes and bibliography on a separate page. And I’ve added a few colour photos to the original black-and-white text. This entry was posted in Uncategorized and tagged Argo, colours, genetics, golden fleece, Greece, Jason, sheep on January 29, 2016 by maryinnz.